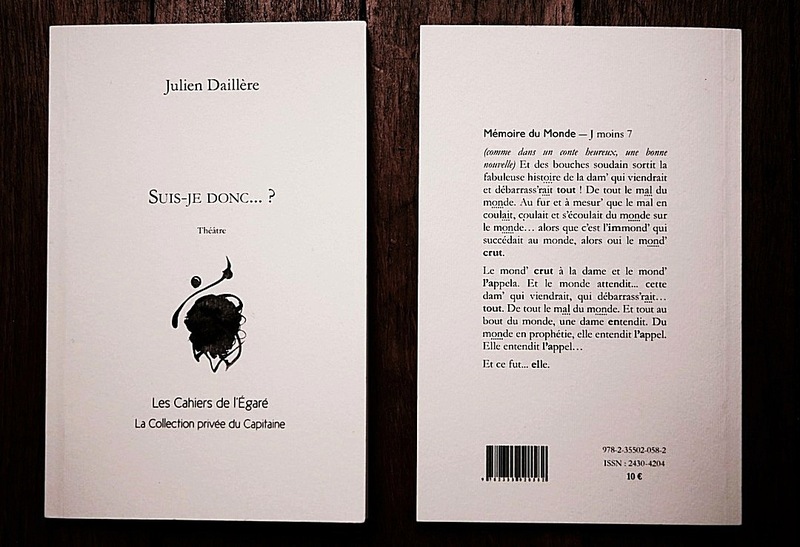 The text was published in May 2016 by Les Cahiers de l’Egaré / La Collection privée du Capitaine. It is available on the editor’s website. 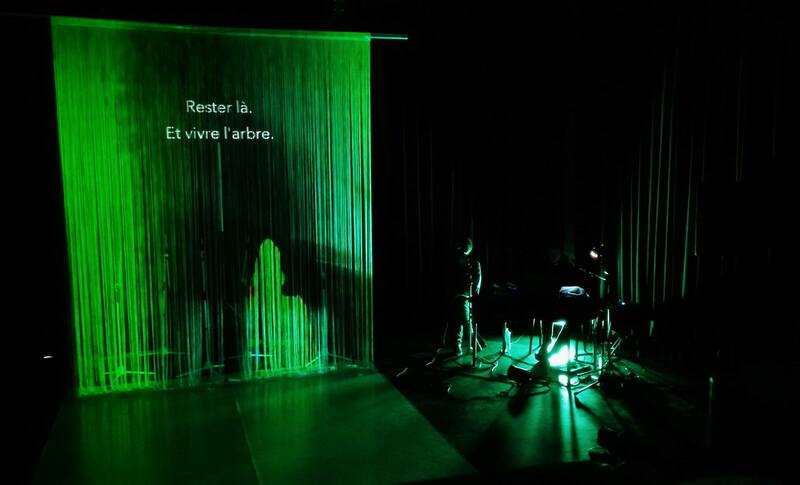 In october 2017, after a residency at Anis Gras, le lieu de l’autre, the text led to the creation of a show in the form of a live radio play, directed by Linda Duskova and performed by Julien Daillère and Joe Cave. Project’s presentation (FR) available here. Previously, the text had been shared as a performative reading on various occasions in 2015 and 2016, in theaters, in theater companies’premises, in an art gallery and in a private house. These readings were prepared under the watchful eye of Dominique Louyot. During the writing, the author was welcomed in residence at La Factorie, Maison de Poésie/Normandie, at that moment still called La Fabrique Ephéméride, in Val-de Reuil. The project was also hosted while a residency at Anis Gras, le lieu de l’autre, in Arcueil. During the création of Suis-je donc…?, Joe Cave was a resident of the Cité internationale des arts.